London born and based techno producer and DJ. James Ruskin comes from a background that first put him in touch with hip-hop and electro and later with the emerging detroit techno scenes. This inspired him to become a DJ in 1991 and venture into production with studio-partner Richard Polson by 1994. Founded Blueprint with Polson in 1996. 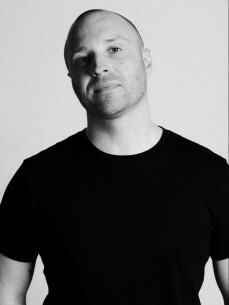 As Blueprint grew, he delivered his first solo releases and appeared elsewhere as remixer and co-producer.